Dr. Papantoniou is a Cosmetic Dermatologist, Board Certified by the American Board of Dermatology. She specializes in injectables, lasers, Surgical and General Dermatology for adults and pediatrics, and is currently practicing in New York. She has special interests in holistic and natural anti-aging cosmeceuticals, with a unique approach to Cosmetic and Medical Dermatology. Dr. Papantoniou has the ability to individualize and personalize the treatment of her patients. The Best Supplements For Acne & Rosacea! The Best Supplements For Your Acne & Rosacea! Along with the idea of how important nutrition is for our skin and acne, there are several key supplements that can help keep your skin looking clear. 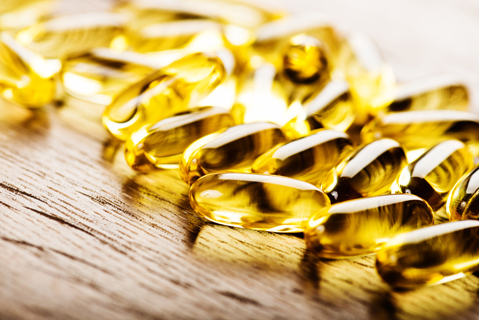 A combination of vitamins and natural supplements can help to maintain healthy skin and nails. It is important to remember that supplements can take 8-12 weeks before significant changes are noted in our skin…so be patient and do not give up. In my office I consult patients on diet, supplements, skin care and will also prescribe topical and oral therapies as adjuncts to treatment, but I first make a note to stress the importance of diet and supplements. I will go over which supplements work best, and how to pick which ones for your skin. Rosacea and acne have a lot of overlap when it comes to oral supplements. For hormonal acne, I have a few recommendations that are specific for women.If you have a health condition or are taking medications always speak with your doctor before starting a new supplement. This power vitamin, works on much more than just vision, it is integral to our immune function, and plays a powerful role in skin, hair and nails. In fact the treatment known as Accutane, is essentially a synthetic form of vitamin A, so it would make sense that supplementation with vitamin A would be of benefit to your skin. (However, if already taking Accutane, do not take vitamin A supplements). A daily dose of 5.000 I.U. in an oil capsule, in the retinol form I find is most beneficial. Take with a fatty meal such as dinner. This vitamin has a potent anti-inflamatory effect on the skin, in addition to its importance in maintaining the barrier function of our skin. Niacinamide is particularly helpful for both acne and rosacea. The recommended dosage is 500-800mg twice daily. Unlike Niacin, Niacinamide should not cause redness or flushing of the skin. There are many studies that have shown the benefit of taking daily zinc in the reduction of acne and rosacea. Zinc is essential to the proper function of our skin, and can be found in many foods such as pumpkin seeds, oysters and beef. 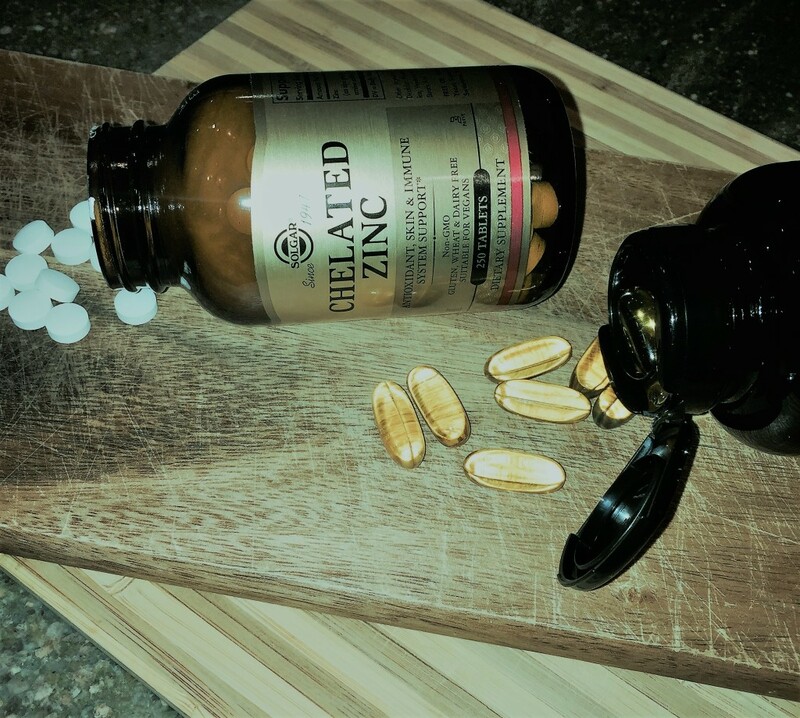 Zinc picolinate or chelated zinc may have better absorption and effect than zinc gluconate. The general recommended dose is 50mg per day. This will not only help rosacea and acne but will probably prevent or ease the common cold. 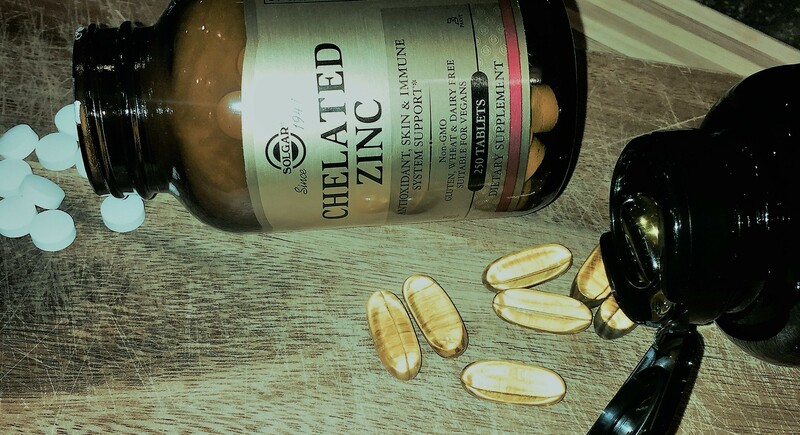 Make sure to take zinc with food to prevent stomach upset. If you have never heard of either of these oils, they are widely used for the treatment of menopausal symptoms, PMS, and work great for the hormonal component of acne. These oils are derived from plants, and are high in anti-inflammatory fatty acids, and are precursors to the production of our own hormones, this can help to stabilize imbalances. Many patients swear by this for their acne, and I am often recommending this for hormonal acne. Often hormonal acne will be noted in the beard distribution, along the jawline, lower cheeks and upper neck area, but can also include the chest and back. Our gut flora and digestive tracts have a strong impact on acne and rosacea as well. It may sound like a lot of supplements, but maintaining a healthy gut should not be overlooked for its importance. A natural way to increase your intake of good bacteria is to eat fermented foods such as sauerkraut and kimchi (these are non-dairy recommendations). No kidding. 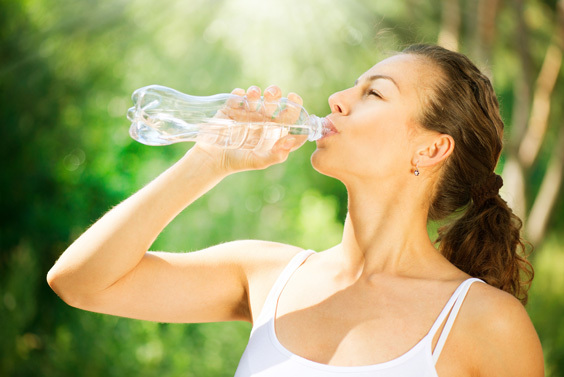 Studies have shown that 1 cup twice daily reduced hormonal acne and even facial hair in women. With a mild mint flavor, this tea is very pleasant, to sweeten it try a teaspoon of raw honey (also so good for you). The powerful green tea polyphenols found in this tea work well for your overall health, and are wonderful anti-oxidants that can help brighten your complexion and reduce both acne and rosacea flares. Are You Eating Right For Your Acne? Have you tried every over the counter/prescription for acne, and still can’t seem to stop those pimples from appearing every other day? You are definitely not alone, and this is something I deal with in my office every day. It is unrealistic to believe that all acne will improve with just topical creams and cleansers. This particularly rings true for those of you out there who have hormonal acne….a high number of you indeed. I will go over my general recommendations that can dramatically improve acne naturally! It is essential to recognize the importance of what we are putting into our bodies every day. I find that especially for acne, in order to get consistent results and eliminate flare-ups the proper diet is key. There are several food groups that contribute in particular to acne, and what I suggest has also been confirmed through dermatologic research in patterns of acne and dietary triggers. Skip the cow products. Trust me. They are loaded with hormones, even if you buy organic. Think about it, this is meant for a baby cow to become a big cow rapidly. The “Western” ideology that dairy is essential to your health and bone growth is false. The calcium in milk can easily be replaced with eating dark leafy vegetables, in fact some of the largest populations on the planet do not include dairy in their diet….and they are all doing very well. I have many patients who notice that they get flare ups after having a dairy splurge. To avoid dairy, that means no milk, cheese, ice cream, butter, and products that have butter in them…so read labels. A wonderful milk replacement is Almond Milk (try Califia, it is terrific). This is the tough one to talk about. Many people will say….What?! No bread?! How dare you? And, I wish that this wasn’t the case, but all the research shows such strong correlations with acne and the glycemic index. This means…try to avoid sweets, white bread, white rice, pastas, etc. Certainly in moderation whole grains can be well tolerated, such as brown rice and bread. However, these should not be the main star of your meal. Avoid the bread basket when you go out to eat, either keep the towel over the bread or even ask them to not bring bread to the table. I will often have them hold the toast when ordering an omelet if I am out. Anecdotally, I also have seen that a gluten free diet can help clear the skin for many patients. It will take 8 weeks with any change in your diet or skin care regimen to notice a change, so I suggest you give it a real try if you think this might help you. The American breakfast has to be the most carb driven out there. Skip the cereal, pancakes, English muffins….opt for eggs, a veggie omelet, or quinoa (made oatmeal style is so yummy and nutritious for breakfast). Eggs are good for you! They had a bad reputation for many years, but we now know that they have always been good. The oldest woman alive that just turned 117, eats 2 eggs a day (she eats them raw, and I am definitely not suggesting that you do!). 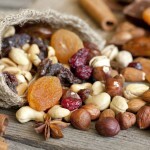 Eggs are loaded with good proteins, Vitamin A and D.
Try snacking on a handful of nuts, or a Kind Bar. Bring Apple slices and almond butter for dipping. Try a berry smoothie, this will be filled with skin friendly antioxidants. Skip the sandwich, instead opt for a salad, or a protein (such as salmon or chicken) with vegetables. If you must have a sandwich get a whole wheat wrap, but it is still better to avoid the extra carbohydrates when possible. Have some fruit with your meal. Eat a healthy fish such as Salmon that is rich in Omegas. Eat meats that are grass fed, these meats actually produce Omega fatty acids that are beneficial to your health and skin. Eat plenty of vegetables. Keep your carbs to a small amount, imagine a handful of brown rice, that is not a lot. Use olive oil and coconut oil in your cooking, not only are they good for your skin but using oils in your food will help keep you feeling full longer, so you will not have to snack. 3 Things You Should Know Before Getting Those Eyelash Extensions ! We all know how popular eyelash extensions are today, this trend has been building in popularity over the past 1-2 years. With more salons and spas offering the laborious beauty treatment, false lashes are glued to individual hairs and can take upwards of an hour to do and can cost over $150 to do. The end result is luxuriously rich, full and “natural” looking lashes. Who needs mascara when you can have lash extensions? As enticing as this all may seem there are 3 things you should know about lash extensions before you get pulled into this expensive routine. There is potential for you to actively thin out your own natural lashes after long term use of lash extensions. Just as eyebrows can become permanently sparse from repetitive plucking, so can the use of adhesive lashes. The lashes can get weighted down by the glue and pull on the growing hair follicle, this can overtime lead to thinning and loss of hairs on the eyelids. Having eyelash extensions periodically for special occasions should be safe, however keeping this up as a routine maintenance for the long-term may lead to trouble for some people. This happens to many women because when you are getting adhesive extensions there may be some loss of your own eyelashes in addition to when the false lashes come off. This can force you into a pattern of actually needing to have lashes applied again and again to compensate for the thinned lashes, and this can occur so gradually as so that you yourself do not even realize what has happened. I have seen a handful of patients that had developed allergic sensitivity to the adhesive for the lashes. This was difficult for the patients to accept because they had become so accustomed and dependent on their lash extensions they could not be convinced to stop having them applied so the skin condition could resolve. If you develop upper eyelid dermatitis it could very well be from the lash extensions. So, I have been not very supportive of lash extensions, and you may be wondering why I am being such a party pooper. Well, don’t get all upset just yet, there are plenty of natural and prescriptive alternatives that end up being much cheaper and can actually help your lashes to grow, promoting longer and fuller lashes. Latisse has been around for a long time and safely does just that, and is less expensive than having eyelashes artificially applied. For a natural alternative there are those who swear by pure castor oil, it has been shown to help promote hair growth. Another natural source for hair growth is Rosemary oil, which has been shown to work as effectively as minoxidil in some scientific research. 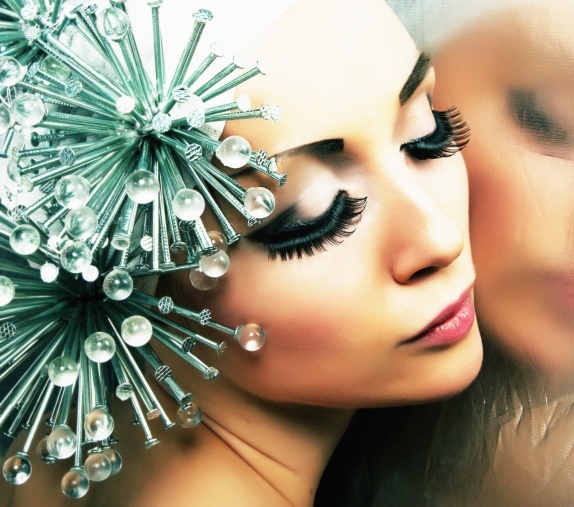 You can still pursue the full and beautiful eyelashes of your dreams. But consider the 3 points I have made about the long term use of false lash extensions. If you develop any skin concerns I suggest consulting a Dermatologist for expert evaluation and treatment. Silhouette Instalift | Changing the face of the Nonsurgical Facelift. Ever pull back on your cheeks while looking in the mirror and wished that your skin could stay like this? Just hoping that this does not mean you actually need a facelift…with so many advances in non-invasive cosmetic procedures, who want to have surgery these days? 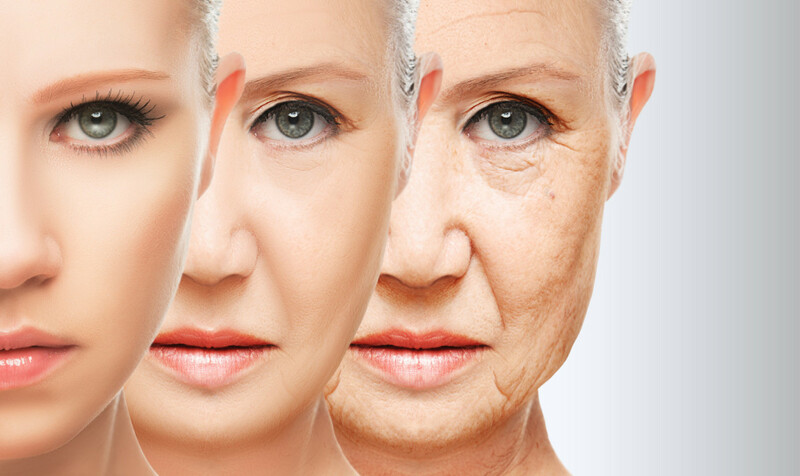 With the help of injectable dermal fillers and tightening energy devices such as the Ulthera and ThermiTight we have been able to make a big impact on reversing the aging process and rejuvenating skin appearance and facial contours. But, as with anything non-invasive we sometimes reach a point where a few injections and tightening procedures are not going to give us the dramatic lift we are looking for. A new emerging technique only mastered by select Dermatologists and Plastic Surgeons, which first was developed in the European Cosmetic Market and now has become available to patients in the United States, Instalift, may be the game changer we have been looking for. Instalift is exactly as the name entails, it is a device used in a minimally invasive technique that consists of a patented suture or thread that when placed under the skin helps sculpt and lift facial contours – finally providing a non-surgical facelift that is delivering results that patients are raving about. The way it works is really simple…through several anesthetized insertion points, the suture is delivered into the skin and then adjusted to help lift cheeks, jowls, necks and even brow lines. The suture material is a combination of Polyglycolide/L-lactide which has been used for years in surgery and is completely broken down and metabolized by the body. The results are phenomenal and speak for themselves, lasting for an average of 1.5 years. The recovery period is very short, usually patients can even go back to work the next day. For those who are easy bruisers pretreating with arnica and bromelin can help reduce this. The only post procedure instructions are for one week after the procedure patients must limit certain activities such as heavy exercise, chewing gum, and should stick to a soft diet. So how does this change what we are already doing for non-invasive tightening? Well, when we think of rejuvenating as a layering process it makes more sense. We want to volumize to compensate for fat loss and bone changes which occur with aging, all of which you still can do even before or after the Instalift. We still want to resurface, reverse signs of aging with lasers and chemical peels to target discoloration, age spots etc. We already treat fine lines and wrinkles that happen with strong facial expression with Botox. When we want to tighten the skin, we can still do this with Ulthera or Thermismooth, but now the Instalift provides us instant dramatic improvement that is not achievable with energy devices alone. Energy devices will still have a strong role in tightening skin around eyes, and the submental area for areas that are not able to be treated with the Instalift, and will work well together when combined. I predict the Instalift will become a quick favorite for patients looking to improve themselves without surgery, because of how simple a procedure it is and how great the results really are. We already are seeing many patients inquiring about the Instalift treatment for midface and jowl tightening. Crepey Skin. Who, What, Where, When & How? What can we do about crepey skin? Are Antibacterial Cleansers More Harmful Than Good? SHOULD YOU USE ANTIBACTERIAL CLEANSERS? 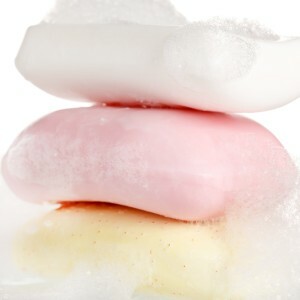 Ever wonder ‘whatever happened to good old fashioned soap’? Well it is still out there, but the question is does antibacterial soap work better? And should you be using this to protect yourself from germs? This is a question that has a 2 part answer: The first is for those who have normal skin, and second, for those who suffer from skin conditions such as eczema or recurrent folliculitis or other skin infections. There are many factors that should be considered when evaluating which kinds of soaps we should be using on our skin every day. Many people do not know this, but your skin is always colonized by billions of bacteria, and that is actually normal. We are as a culture afraid of bacteria on our skin, but what we don’t realize is that we also harbor beneficial bacteria, this bacteria helps maintain a balance of good & bad bacteria, and even fungus. Just like you take probiotics for your gut and digestion, you have bacteria on your skin as well that serve a purpose. For well over a decade neonatal intensive care units have recognized this importance of skin flora, they have newborns and premature babies in skin to skin contact with their mothers, and have data to show that this increases rates of survival and reduces the rates of opportunistic infections. In comparison the babies that are kept under near sterile conditions had a higher risk of infections. In addition there are even topical medications that are being researched now on how to populate skin with healthy colonies of bacteria to improve skin conditions such bad as eczema and acne. So consider this before you buy a bar of soap that is antibacterial. Antibacterial cleansers can have chemicals that are not particularly healthy to be used every day all over your skin. For example, the ingredient triclosan which has been shown to be a carcinogen and has been pulled by several companies. Most antibacterial cleansers can also be harsh on the skin and can be very drying, which is another reason I prefer to avoid their use. The second answer to this question is for those who are suffering from a skin conditions such as acne, eczema or recurrent folliculitis, an there are other options that may be more helpful to control bacteria on the skin. For acne: a cleanser that contains salicylic acid or benzoyl peroxide may work very well. To treat moderate to severe eczema a dilute bleach bath (1/2 cup bleach to a full bath) once per week can be very helpful, or hibiclense if you prefer to wash in the shower. Folliculitis can also be controlled with a benzoyl peroxide containing wash. However, to prevent the spread of germs & infections you should practice good hand hygiene, wash with soap and water when possible, and you can use a hand sanitizer when traveling or in public spaces. To sanitize your hands an alcohol based sanitizer will kill >99% of germs. For more sensitive skin alcohol free sanitizers are available for use on hands, and children’s toys and are non-toxic. How to make a wedding day beauty count down! DON’T LET YOUR EARS SHOW YOUR AGE! Dr. P shows how ears can show our age. GOODBYE SHORT BRITTLE NAILS! HERE ARE THE BEST 5 TIPS TO IMPROVE THE HEALTH OF YOUR NAILS! Nails that easily break, split, refuse to grow, and appear ridged are a common issue. Many times this can be caused or either worsened by certain practices: exposure to harsh soaps and water numerous times per day, frequent use of nail polish and polish removers, alcohol based hand sanitizers, and rarely can be a sign of an underactive thyroid or other systemic deficiency or condition. 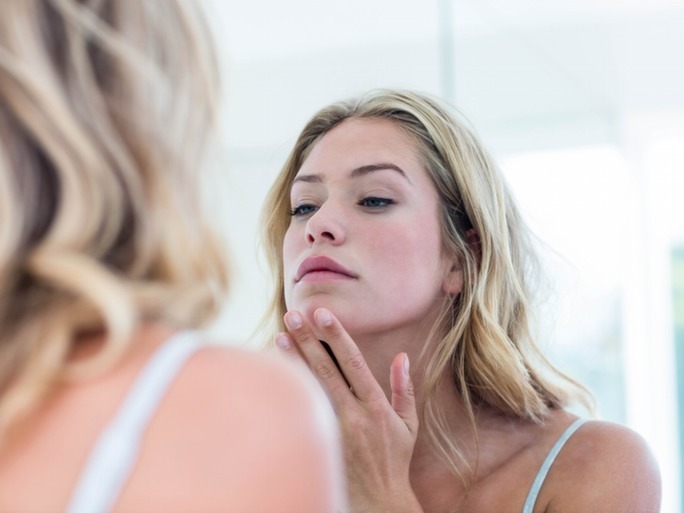 If you have other symptoms such as dry brittle hair, dry skin, lethargy or weight-gain you should see your dermatologist for an evaluation and work up to rule out hypothyroidism. Nails grow very slowly and it can take on average 3 months to see improvement in nail growth if positive changes in the daily routine are made. Use gentle cleansers to wash hands, stop alcohol based hand sanitizers, and polish removers. Apply a cuticle oil before bedtime. Rosehip oil, Coconut oil or Argan oil all work well! If no improvement is noticed, consider seeing your Dermatologist. Your doctor may want to prescribe a topical medication, Genadur, for nails that is applied to nails twice daily. Genadur is an FDA approved prescribed medication which can make a big difference in nails that otherwise won’t improve. 9 Essential At Home Cystic Acne Tips. Bustle interviews with Dr. Papantoniou on cystic acne tips.